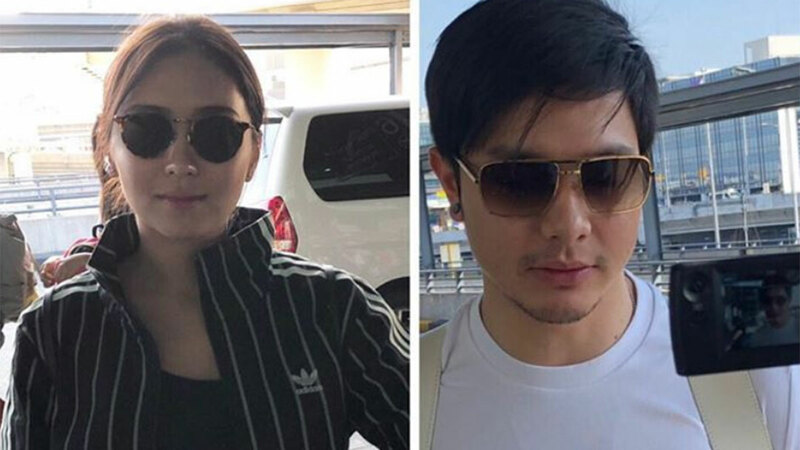 Kathryn Bernardo and Alden Richards fly to Hong Kong to start principal photography of their upcoming Star Cinema film. 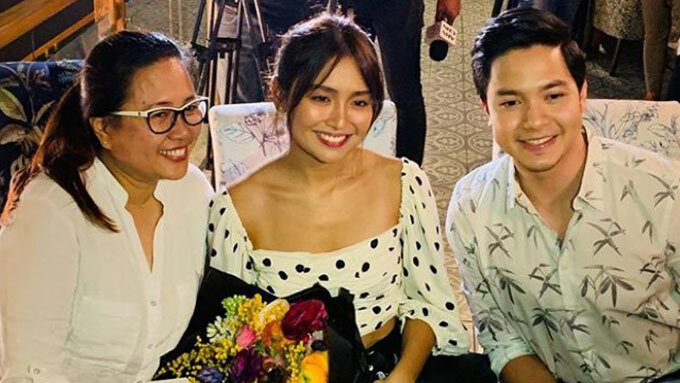 ABS-CBN actress Kathryn Bernardo and GMA-7 actor Alden Richards are all geared up for their first movie team-up. On April 8, Kathryn and Alden flew to Hong Kong to start shooting their movie produced by ABS-CBN Films's Star Cinema. Star Cinema AdProm director Mico del Rosario uploaded a photo of Kathryn and Alden who were about to board their flight. It can be seen in the photo that Alden has an ear piercing and an arm tattoo, which will be his look for the film. Kathryn disclosed in an interview with reporters last April 6 that she will be spending one month in Hong Kong with Alden to finish the film's principal photography. The upcoming movie will be directed by Cathy Garcia-Molina. 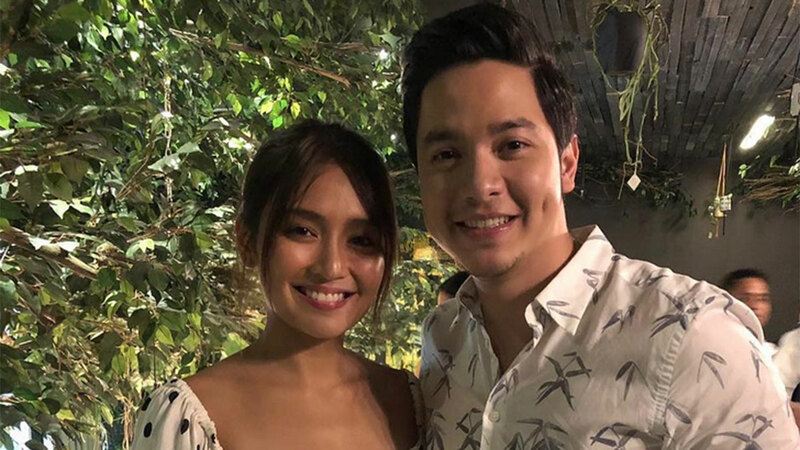 In an interview with GMANetwork.com, Alden revealed that it was Star Cinema that approached him to do a movie with Kathryn. The offer came at the right time because Alden was hoping he could do a new movie, since it has been a while since he did a film. Alden's last full-length movie was Imagine You and Me (2016), where he was paired with his AlDub love-team partner, Maine Mendoza. He said, "It's been a while since my last film and I was really asking the management, baka mayroon nang project, baka pwede tayong gumawa ng pelikula. "Fortunately, nag-approach yung Star Cinema and sinabi nila if pwede raw ba akong gumawa ng film with them. "Of course, I immediately said yes. Pero, siyempre, madami pa ring pinagdaanan before we really got here where we are now. "Now that we're doing a movie, I'm honored, happy, and excited to do this, because it's something new for me." To prepare for his role, Alden had to learn Cantonese. He narrated, "I've been losing weight a lot, I've been taking Cantonese lessons, 'tapos magkakaroon pa ng ibang lessons prior to the role. "So, surprise kung ano yung magiging role namin ni Kathryn diyan. I should sound like a local Hong Kong resident, 'yan ang isang clue." An official playdate has yet to be announced for the still-untitled movie. 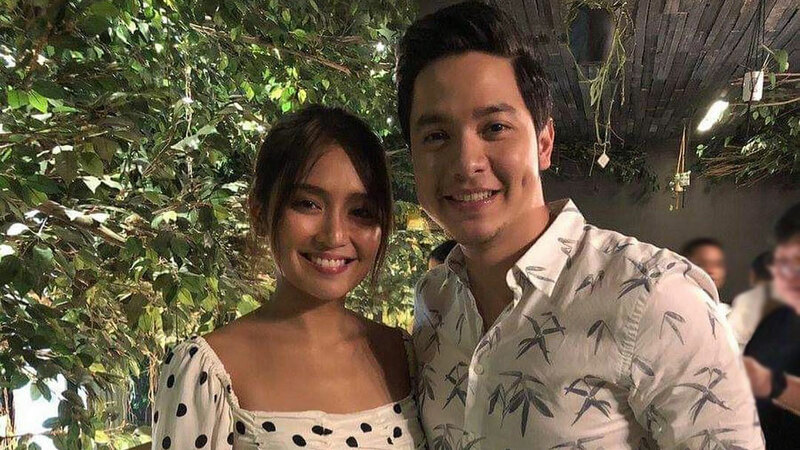 On February 20, 2019, PEP.ph (Philippine Entertainment Portal) revealed, through its PEP Troika column, that Alden and Kathryn might be doing a movie together. This was confirmed during Star Cinema's announcement of the project on March 12, 2019. Alden on working with Kathryn: "Purely professional"